Ever since mankind were faced with conflicting interests and were forced to compete for survival, the need for conflict resolution mechanisms presented itself as the most important social need in order to insure peaceful coexistence and the sharing world resources. Primitive and civilized communities alike developed norms, ethics, and hierarchies that have governed their dealings. We know of tribal chiefs, kings, and leaders who represented the collective will to establish order in any given society; but with the emerging of complex issues and the competing interests that more sophisticated societies’ experience; added to the level of lethal power that some societies have possessed, more dynamic and evolved system of governing became a necessity. Our world today cannot afford the recklessness that previous civilizations exhibited, for by the push of a button, all forms of life on the face of the planet earth can be wiped out. The world community had long ago recognized this reality and they tried to deal with it. Some attempts were too exclusionary, others were more universal and tended to forge unexpected alliances and a spirit of cooperation between peoples that at one time or another were enemies. The principal challenge remaining today is the distribution of power not only among individuals and groups within the one nation state, but also the problem of power sharing among the various nations that make up the world community. Despite the cultural and historical differences that distinguish one country from another, these differences remain marginal when it comes to the fundamental makeup of the human race: we all share the desire to grow, succeed, and exist in a prosperous environment. These seemingly harmless desires are nonetheless masking the innate drive to accumulate more than one’s basic needs. There exists the unexplained untamed instinct to control and monopolize the ownership of any thing of value. We are programmed to attain power and to use that power to ensure that it is not lost. Fortunately, we have not—as individuals—reached a consensus on the definition of power: some of us see it manifested in the accumulation of material wealth, others consider it to be the brute force, many would identify it to be synonym with authority, and some would define it as the simple notion of servitude and service to other fellow men. This diversity of perspectives may prove to be the only single human characteristic that enabled mankind to survive numerous challenges brought forth by men and women who thought that they have possessed the absolute power at one point in history or another. Throughout history, there were individuals who thought that they were gods and that they were above and beyond judgment. They have ruled and built kingdoms beyond ordinary dreams. Little did they know that their conviction and faith in their version of power could be matched by that of a single orphan who identified power as the servitude of the oppressed and the bold challenge to the oppressor. Time and again, history puts these competing notions of power at work, and time and again, history is recycled. In this work, the prime focus is human rights issues, and the domain is the last historical cycle as we have argued it in another published work. When I first taught a course on human rights law and Islam; I sought to start it with a brief introduction on law in general, international law, history of human rights movements; then I went back in time to look at the questions of rights in the religious context, then returned to the modern world to look at some modern Muslim states constitutions and basic laws; and finally concluding by the struggle of Muslim scholarship to reconcile their historical legal heritage with modern notions of human rights that appear to be in conflict with the classical Islamic law. If this work is to be reduced to one theme—and it can hardly be reduced to that—I would think that it could be all reduced to the competing notions of authority and power verses rights and liberty and how can the former be used in the service of the latter. As we revised the reading materials and the topics of the said course, it has become clear that a chronological order of the events and subjects is advisable. With these conclusions in mind, we proceeded to reorganize this reader. 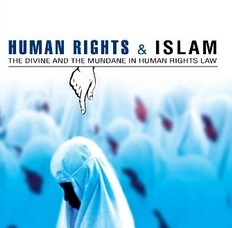 Firstly, we will begin by looking at authority and power in earliest times of Islam, then move on to renaissance times where it is believed that modern day Western views of human rights were conceived, then concluding by the examination of modern Muslim scholarship’s views and interpretations of their legal sources as they incorporate human rights principles into their political and religious systems. Additionally, one could argue that we cannot critically appraise any document from the point of view of accommodation or denial of rights without first defining what these rights are, or what these rights ought to be. Indeed doing so would amount to framing the notion of “rights” in modern times; hence, subjecting ancient cultures and communities’ values to modernity-centered standards, as some would argue. However, if these ancient values, customs, and teachings continue to shape the way many peoples today define and establish their social structure; then these values ought to be discussed and evaluated against the modern standards of this world in which we live as a collective. Having said that, it may be limiting to advance a particular theory on what is or what is not a “universal right”. Alternatively, we can reconcile the need for stage-setting and the undesirability of narrowing the scope of discussion by introducing instead, what I would consider to be a framework defined by what a modern layman would understand to be a “universal right” or even a “personal right”. This cursory information would then serve as the launching ground for the discussions and for analyzing the various texts. In a number of surveys of students, I have asked them to enumerate what they consider to be a “universal right”. The list below is a summary of what was considered by most students to be a fundament right. Whatever opinion one may hold in regards to the above list, we would like to consider it as a starting point as we look at the documents in the coming chapters. We will have the opportunity to critically appraise the list of rights as stated above and as outlined in the Universal Declaration of Human Rights (UDHR), also appended to this work.